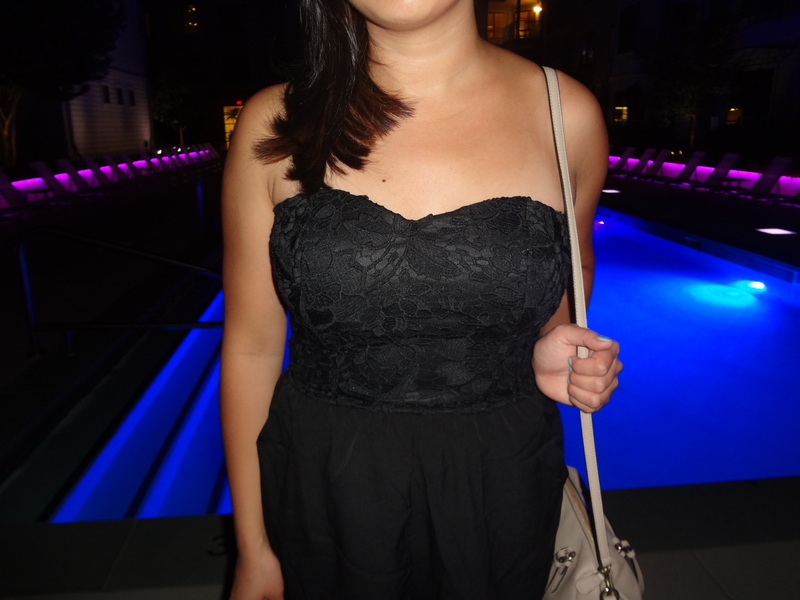 1) I’ve noticed that the simpler my “going out” outfits are, the more comfortable I feel. That’s why I loved getting dressed in a black floral romper, studded flats, and red lipstick last weekend in New York! My “standout pieces” are from AMI Clubwear and I think they are so cute! You can find the Black Floral Romper for $19.99 and the Studded Flats: for $29.99 on their website! The studded flats resemble the ones from Valentino ($1000) and BCBG ($100) but unlike those, the AMI Clubwear ones don’t break the bank! They are definitely durable and I can’t wait to wear these out again. 2) AMI Clubwear has been generous enough to provide me with a promo code for you all! Enter “Style45” at checkout to receive 45% off your order! You have no reason not to shop through their clothing, shoes, jewelry, and more! Shout out to my friend Isabella for helping me take this picture and borrow her pool. Lol I hope you decide to check out AMI Clubwear’s website and all they have to offer! Thank you to AMI Clubwear for sponsoring this post. All opinions are my own.